Wow, the cuff detail is so neat! As soon as I get a machine that can handle jersey, I'm totally in, haha. What a good idea, I have this pattern and the tulip skirt sadly doesn't suit me either, my one and only attempt went in the bin... Thanks for this post! Very classy, love those cuffs with tab in contrast. Fabulous! Definitely gonna give this a go. Thanks for the inspiration Marie. I'm with you! I was thinking of changing the skirt style might be a cute modification, too! Oh yes, great idea! Looking forward to seeing your patten hack! Oh Jo, thank you! I'm over the moon that you've been taking part and I've loved seeing all your makes! Oh you totally reminded me that Bettine can be jersey/stretch too! I really like the neckline... will give it a go too! 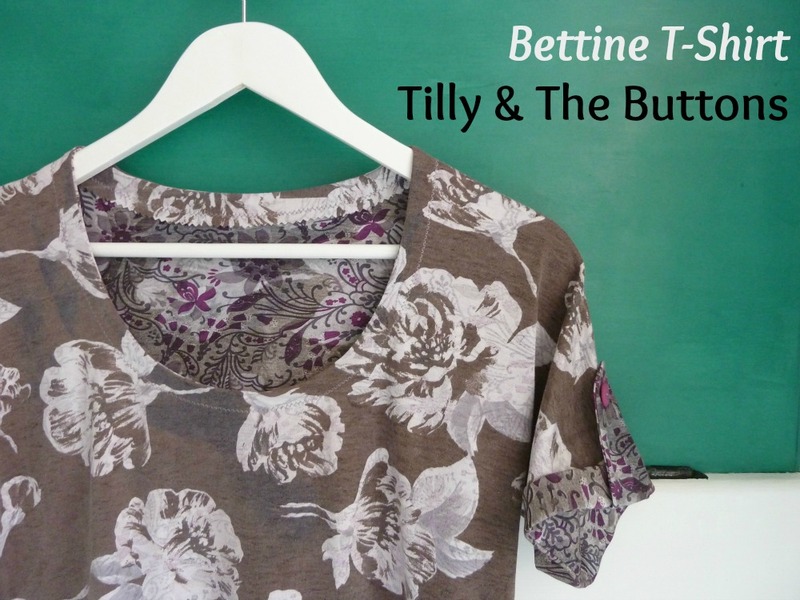 Just come across this post googling for Bettine Top ideas and love your version - like you my body shape just does not suit the tulip skirt :-( Was wondering if you used interfacing on the facing pieces? Thank you for the inspiration!